Mindy Kaling On Being "A High Profile Indian-American Who Is Not A Size Zero"
We all know her as the lovable Mindy Lahiri in ‘The Mindy Project’ or perhaps you first fell in love with her as Kelly Kapoor on ‘The Office’. Either way, Mindy Kaling is a force to be reckoned with in TV land. She created, writes, executive produces and stars in her own show which has moved from Fox to Hulu. Being a female showrunner in this male-dominated industry is a rarity but there are a few notable women like her: Tina Fey, Amy Poehler, Lena Dunham, Amy Schumer, and the many more who will follow in their footsteps. Aside from being a badass babe on TV, Mindy is also a successful author. Her first book ‘Is Everyone Hanging Out Without Me? (And Other Concerns)’ was a New York Times bestseller as it hilariously gives insight to Mindy’s background and how she got to where she is today. Well far be it from her to rest on her laurels, she has just released another book called ‘Why Not Me?’ available on Amazon which goes deeper into her life as an adult balancing the pressures of being a successful TV star and creator and looking for love. In an interview with the Guardian, she talks about how sometimes it is the most sucky moments in life that make the most interesting, especially for a writer. She describes how devastated she was not to be nominated for a lead actress in a comedy drama last year. As names like Amy Poehler and Melissa McCarthy were read out and not hers, she came to terms with the rejection in the best way possible: eating McDonalds. “You can choose not to write about your embarrassments and things that make you feel vulnerable but it’s not like people can’t see them anyway. Most people think that everyone’s life is so easy in Hollywood. And, for the most part, life is pretty great. So those moments when you are embarrassed, or you feel slighted, or an idiot, or miserable – I think they’re good to write about,” said Mindy. Despite seeing the brighter side of what could be a depressing situation, the Guardian points out she is still “one of the most powerful women in TV”. She was born to immigrant parents from India who moved to the US to give Mindy a better future. It worked because she worked hard enough to attend an Ivy League college. After her college years she started writing and performing in stand up shows which eventually led to a regular gig writing and appearing on ‘The Office’. After doing that famed show based on Ricky Gervais and Stephen Merchant’s original BBC series, she decided to venture out and create her own show. 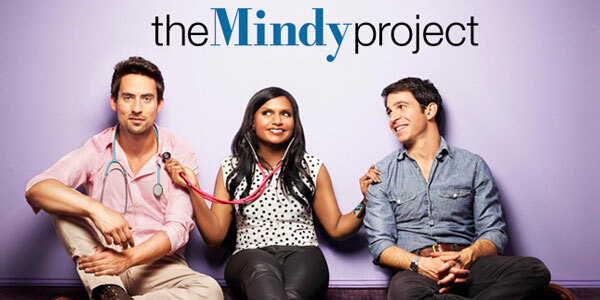 She pitched ‘The Mindy Project’ to a number of networks including NBC who ended up passing. That devastated her, but success wasn’t that far around the corner from rejected. Fox ended up saying yes and the rest is history. Mindy is well aware of her status as a female TV show creator and star being very prestigious at a time when women like this are a rarity, but more present than ever. “It’s very nice to have a show at a time when a woman who is not traditionally beautiful having her own comedy show and being openly pro-choice is commonplace. Right now, all my favorite shows star women who, if not producing it, created it themselves. I’m glad I’m coming up at this same time,” she said. As well as now being part of a group of female comedians creating their own content and dominating ratings, she has become an unofficial spokesperson for positive body image and diversity, a title which she has taken in her stride. “Kaling never set out to become a spokesperson, but simply by being a high-profile Indian-American woman who is not size zero, she has been forced to become one,” writes Hermione Hoby at the Guardian summing up what we all now know. Mindy has no problem being a role model for body positivity but also is refreshingly honest and vulnerable about her own struggles. “The fact of the matter is I absolutely do try to conform to normal standards of beauty. I am just not remotely successful at it. I never want to be part of the problem. I want to always be as body-positive as girls hope that I am,” she writes in her new book. Underneath the humor, real-ness and positive messages, Mindy believes it is about believing in yourself and being confident no matter what everyone else around you thinks. “You know what’s funny? If I call myself a cute, chubby girl, the natural kind woman’s response is, ‘You’re not chubby! You’re beautiful! And thin!’ And I always want to hug the person and say, ‘It’s OK, I identify as someone who is cute and chubby – that doesn’t mean I’m not worthy of love and attention and intimacy.’ And also, my priorities are not such that I’m mortally offended by someone thinking that,” she said. Her message about beauty and worth bears repeating as we do live in a world that places undue burden on a woman’s looks, giving her the message that this is where her value comes from. We need to change this and it starts with a mindset. “Insults about the way I look can’t be the thing that harms me and my heart the most. It has to harm me the least. If I have a daughter, I’m going to tell her that. Far too many women are much more hurt by being called fat or ugly than they are by being called not smart, or not a leader,” she said. And this in a nutshell is why we love her. Her success is self-evident, but knowing that her looks aren’t as important as her brains and talent (which are the very things which are taking her places) is a message we can all implement in our lives. It doesn’t mean we need to be robots and claim insults and failure doesn’t affect us. Weakness doesn’t come from showing emotion or vulnerability, it comes from not knowing our foundation as women and bowing to each and every pressure that comes our way. 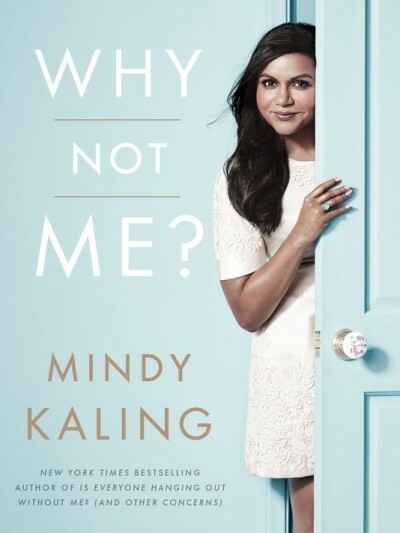 We can’t wait to get our hands on a copy of Mindy’s ‘Why Not Me’ and see what ‘The Mindy Project‘ has in store this season!